Use the larger size form for making rings with soft wires and the small size form for making rings with half-hard wires. 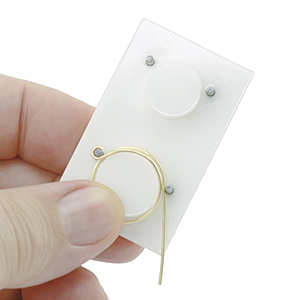 Full instructions are included tomake consistent rings with Artistic Wire, German Style Wire, or Precious Metal Wire. Add Beads, Coiled Wire, or Charms for cute, quick, fun rings!